It's All About the Journey...Ready to List Your Home! The decision has been made and you're ready to get going! The next step is to confirm pricing, sign the listing agreement and the mountain of paperwork that goes along with putting your home on the market and preparing for showings. Establishing a Price: When setting a price, the most important thing is to be realistic. This is where the experience of your agent is critical. You want an honest, well thought out evaluation where the agent is telling you the truth of where your home should be priced in order to attract the best offer. What you should be careful of is any agent who will tell you a price they think you want to hear, just so they can get your listing - if the price is too high, the house will sit and you will end up chasing the market down ( if the price sounds too good to be true, it probably is). A well prepared comparative market analysis (CMA) and an experienced agent with a good track record are the best tools for establishing a realistic price. Professional appraisals and programs like Zillow are very unreliable and do not reflect current market conditions, or the competition including their upgrades and other features. Signing a Listing Agreement: After you have chosen an experienced real estate agent, you will need to sign a listing agreement: a contract in which you agree to allow your REALTOR to sell your home during a given period and pay the REALTOR a fee when your home sells. 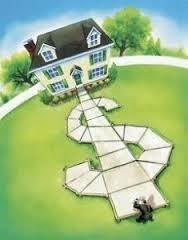 There is also a stack of paperwork including state and federal disclosures which your agent can guide you through. The amount of compensation you pay a broker is negotiable, but most REALTORS have standard pricing models that they use across all of their listings. 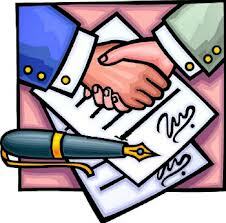 The agreed upon commission structure will be noted in the listing agreement. Make sure you understand how the fee will be paid before signing. Exclusive Right to Sell Listing - Almost all agents will ask for an â€œexclusive right-to-sellâ€ listing. This means that all property inquiries are directed to your agent. Even if you decide to sell the house to your cousin, your broker still handles all aspects of the sale and earns their commission. It's possible that a REALTOR from another company will find a buyer for your home. In that case, your broker is the listing broker, and the second agent is the buyerâ€™s agent or broker. General practice is that the commission is split between the listing agent and buyerâ€™s agent. Length of Listing - The listing agreement will specify how long you agree to list your house with a company and a specific agent. You want a period that's long enough for your agent to successfully market your home and respond to buyers (it's important to know the average days on market for your price range). Remember that the listing agreement is a contract, and your agent and brokerage is bound to the terms just as you are. Preparing your home: Every home is different and your agent should provide you with advice and recommendations when preparing your home for sale. People buy on emotions and your home has to feel right, or buyers will look elsewhere. They also need to be able to picture their belongings and lifestyle in your home. 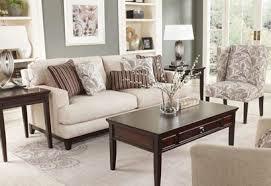 An experienced agent can advise you on how your home should be staged. Staging â€œpaints the pictureâ€ for a buyer. It neutralizes your home so the buyers can envision the space and what "could be". It is important to remember that you don't sell a house the same way you live in a house on a daily basis. Stay tuned for What to Expect once the Listing goes "Live"!